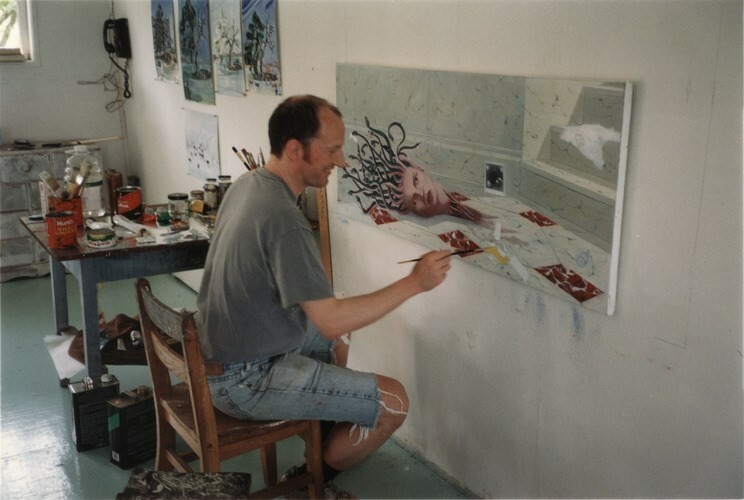 In 1997, American artist Frank Moore was putting the finishing touches to a painting that an admirer – and keen collector – of his work had commissioned him to create. The painting, entitled To Die For, depicts a pale grey marble floor, a smashed Gucci cologne bottle, a Polaroid photograph and, in the centre of it all, as the painting’s focal point, a portrait of Kate Moss. This is not Moss as we’ve seen her before, however. Lying on the floor at the end of a trail of blood that has been smeared across the cool tiles, Moss’s severed head has been sliced from her body and snakes grow from her scalp, as part of a neo-surrealist take on the Ancient Greek monster, Medusa. To the right-hand corner of the painting is a piece of paper, lying at the bottom of a set of stairs, that also bears an image of the Gorgon, this time as part of a letterhead. The letter was a late addition to To Die For, and one that had not been meticulously planned before Moore began work on it – an aspect of his practice that he was renowned for. Scrunched up and seemingly discarded in a hurry, the letter is an oil-painted depiction of a fax Moore received that brought the news that Gianni Versace, the revered Italian designer who had commissioned the piece, had been shot and killed outside of his Miami home, on the 19th July, 1997. 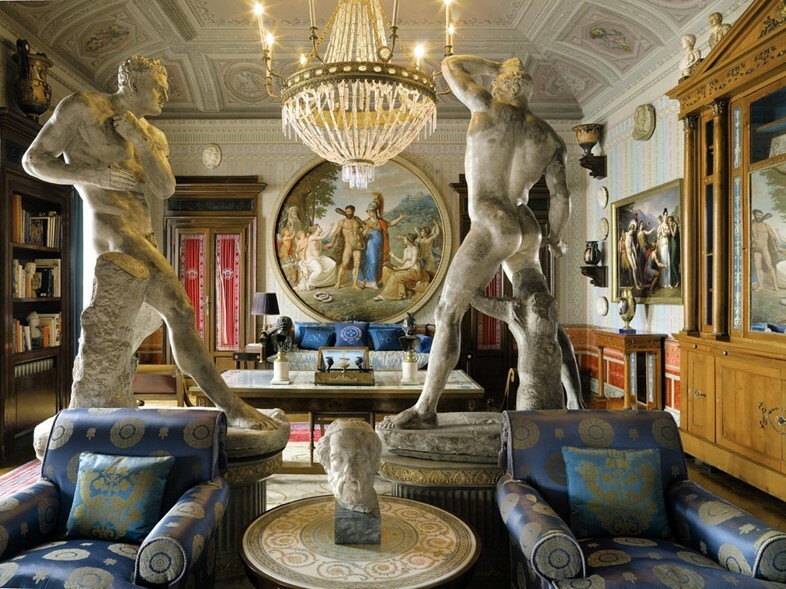 Though Versace’s instructions surrounding the commission were indirect, as the designer allowed Moore to express himself freely, his influence on it is immediately evident. In much the same way as his collections do, the surreal, slightly unnerving portrait strikes a balance between the ostentatious and the understated, and high and pop culture. The inclusion of Moss – one of the Italian designer’s favourite models, with whom he shared a close relationship – treads a similar line; her cool gaze and stark beauty offset by the chaos that surrounds her. When placed in the context of Moore’s oil painting, in which the classical meets the contemporary, the result is a history all of its own. 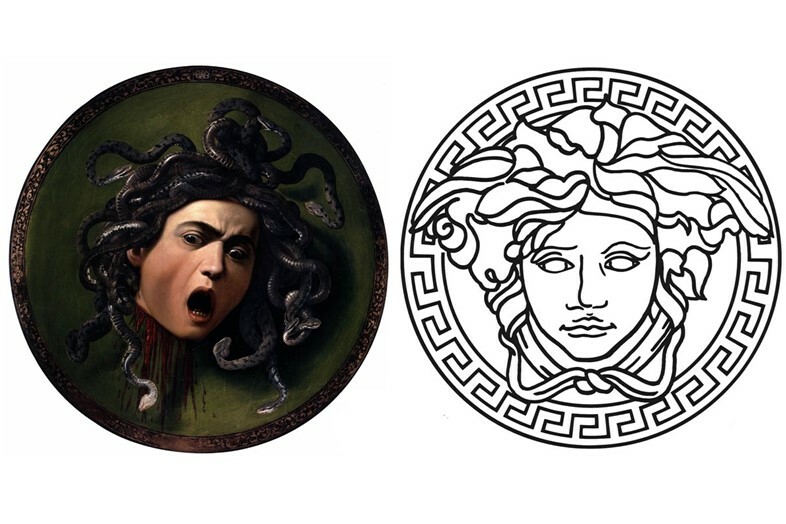 Moss binds To Die For to fashion, to the era and, simultaneously, to the past, as the model is transformed into iconography that has long been depicted by countless artists; Medusa, the house of Versace’s iconic logo. To Die For was the latest in a series of works that Versace had commissioned Moore to create, after he and and the artist were introduced by legendary arts and fashion writer – and Interview editor – Ingrid Sischy. 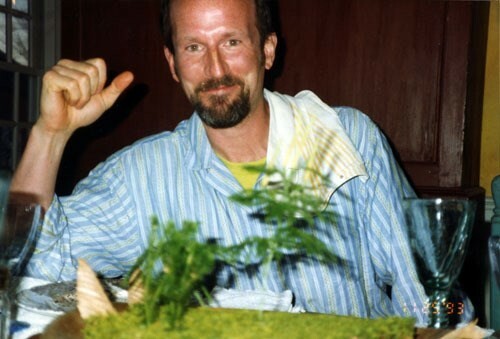 Though Moore was better known for his work around the themes of environmental pollution, DNA manipulation, human engineering and the medical establishment (a founding member of Visual Aids, a collective of artists and AIDS activists, Moore was instrumental in the creation of the Red Ribbon project in 1990), the iconic designer and the artist formed a friendship based in part on a shared desire to explore the relationship between fine art and fashion, and how the two were synonymous with one another – despite conflicting opinions to the contrary. Versace was struck by the way he saw his own practice in Moore’s work. Bold and brilliantly coloured, the artist’s body of work demonstrated an intense focus. Each piece was the result of weeks, months and sometimes even years of in-depth research and composition planning that was then translated into intricate oil-painted dreamscapes, heavy-laden with symbolism – an approach that saw him labelled a ‘visual essayist’. Moore’s attention to detail was so intent, even the frames his works were encased in were extensions of the paintings themselves. To Die For was held within a bevelled mirror frame, in reference to Perseus’s shield and his eventual defeat of Medusa, with the viewer catching glimpses of the Grecian monster’s grisly fate and, in turn, their own mortality as they looked upon the piece. It was this enigmatic symbolism and nuance that seemingly appealed to Versace, as the designer collected a large number of the artist’s works throughout the 90s. 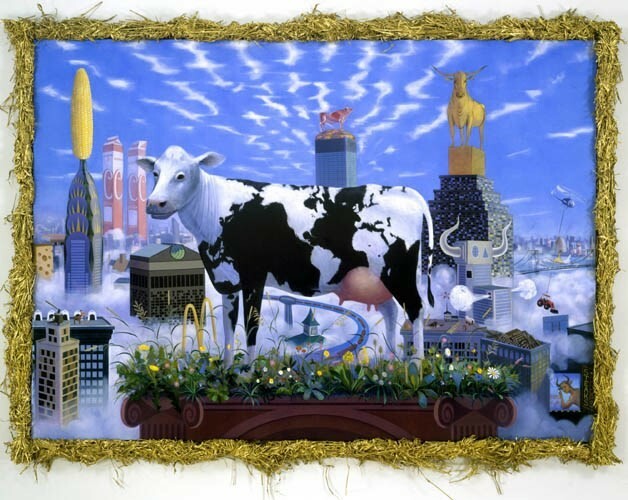 Pieces including Moore’s monumental 1995 work Cow sat alongside intimate pencil sketches by Pablo Picasso, and cubist portraits by Fernand Léger, as part of a personal collection that was as diverse and dynamic as the designer himself. As well as existing works, the designer commissioned several of the artists he admired to create pieces for him, with Moore amongst them. “Gianni loved to see himself depicted in the art he commissioned,” says David Leiber, ex-director of New York’s Sperone Westwater Gallery and trustee of Frank Moore’s Gesso Foundation. “He liked the idea of fashion being synonymous with art and a number of commissions featured his portrait, some in a surreal, symbolic way and others in a more straightforward fashion,” Leiber concludes. Gianni Versace never saw To Die For, as he was tragically killed before Moore had finished the piece. Allowing the designer’s devastated family time to process and grieve, the artist held back from informing them of the artwork’s completion, and used the time to add the fax to its final composition (“perhaps his own way of processing the grief” says David Leiber). Last shown publicly in 2012 as part of Toxic Beauty, a retrospective celebrating the work of Frank Moore (who died from AIDS-related complications in 2002) at New York’s Grey Gallery, To Die For now forms part of a collection owned by a private buyer – we hope one with as deep an appreciation for his work as Versace himself had.